An Indian researcher has discovered four new species of burrowing frogs. Sonali Garg, a PhD student in Delhi University, found the new species after five years of extensive explorations in the Western Ghats - a biodiversity hotspot in southern India, reports BBC. The species belongs to the Indian frog group or genus, Fejervarya. 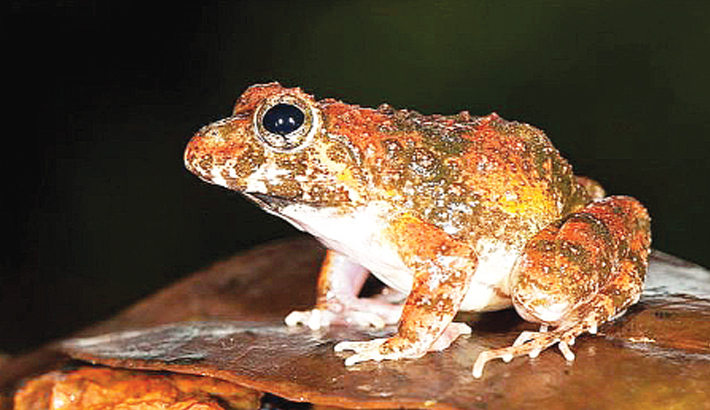 The study added that “the new finding will have a significant implication on the conservation status of these frogs”.“We need to be concerned about the existence of these newly discovered frogs and conduct further studies to reassess their conservation status,” said Professor SD Biju, who supervised Ms Garg’s study. Ms Garg said “more extensive studies were required to scientifically identify and describe the Western Ghats frogs”. “These frogs are already facing extinction threats from various human activities,” she said. A number of new frog species have been discovered from the Western Ghats in the past decade, making it one of the leading biodiversity hotspots in the world.